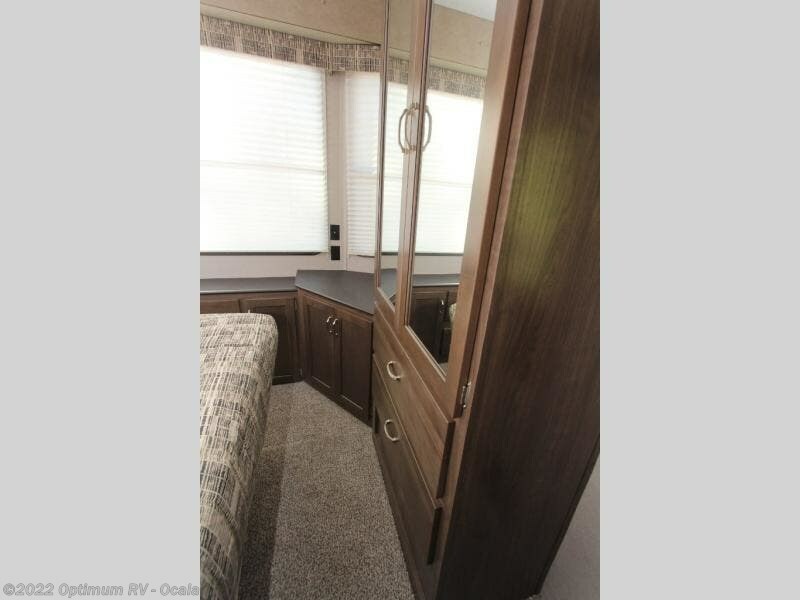 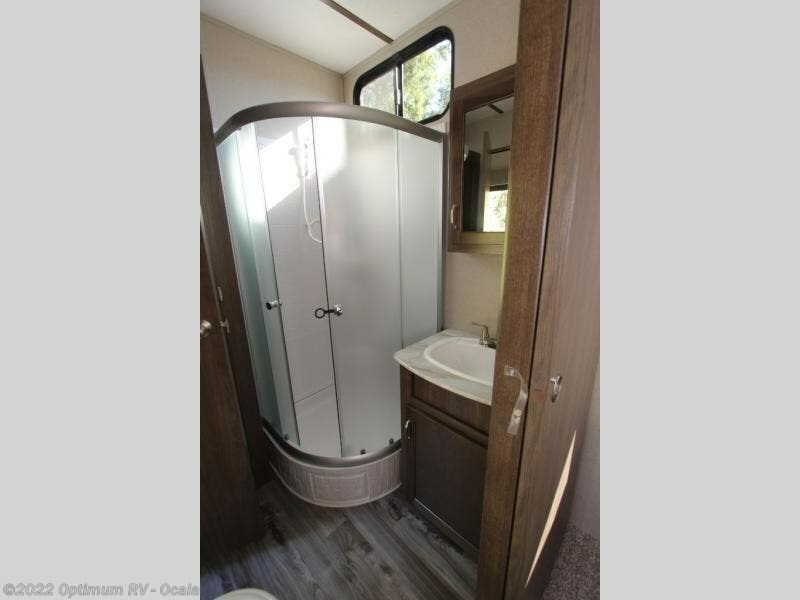 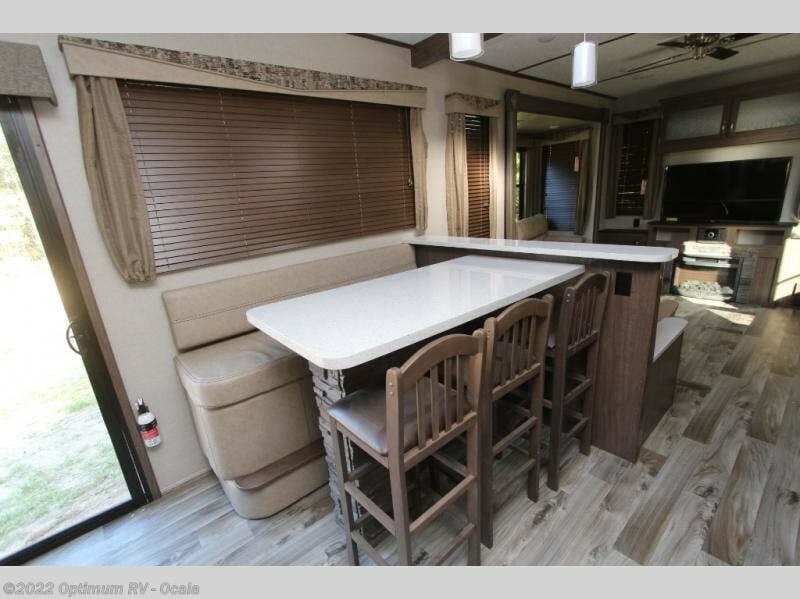 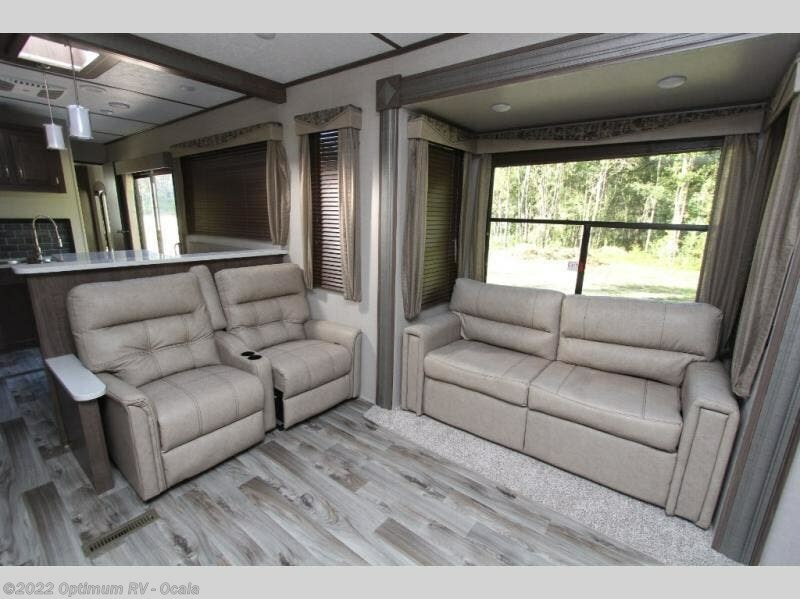 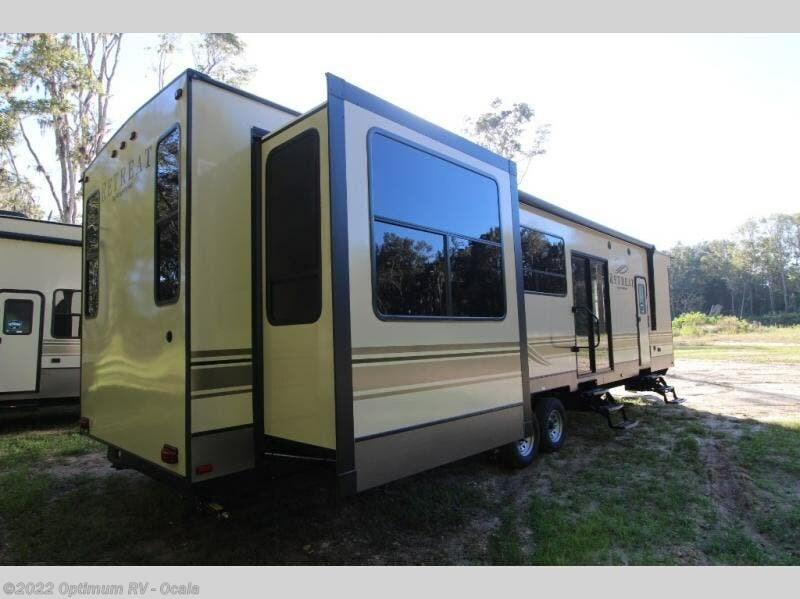 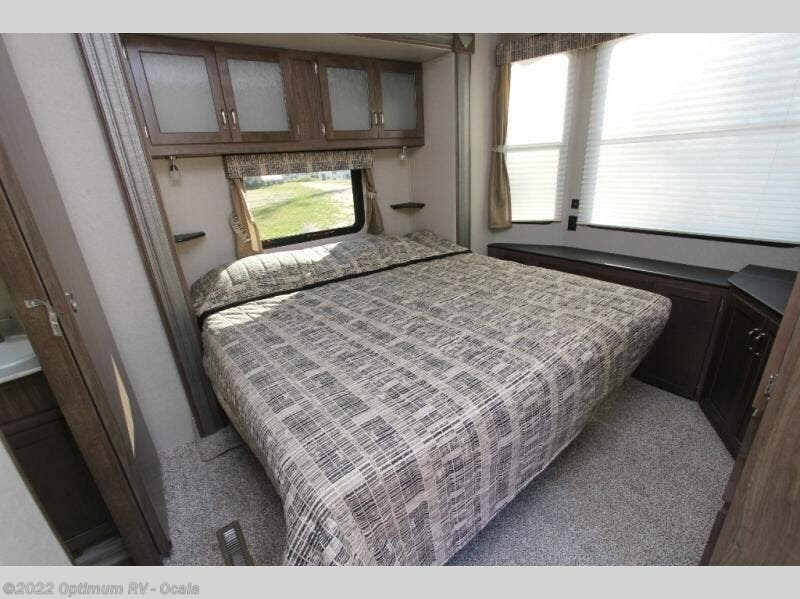 This 391RDEN is the unit you want to take a look at if you are planning on vacationing for a long period of time. 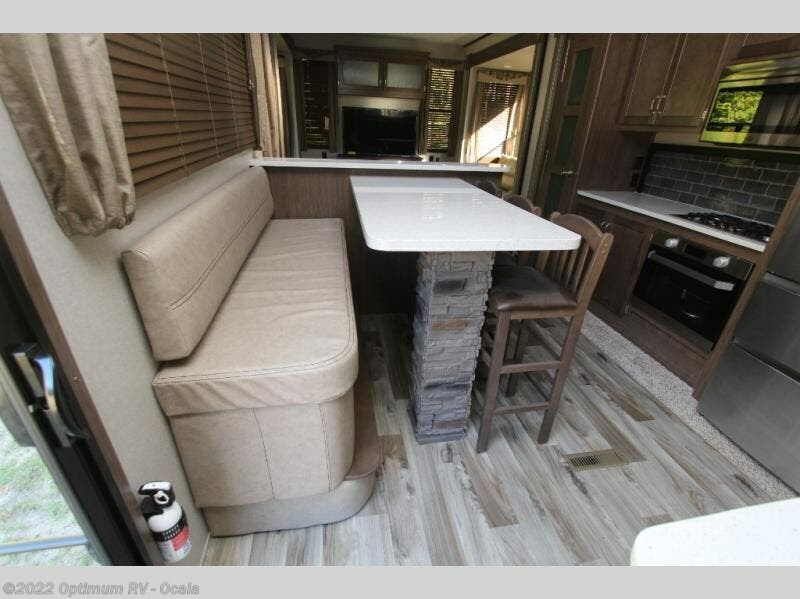 This rear living unit gives your guests space of their own if they want to use the sleeper sofas for their sleeping space at night. 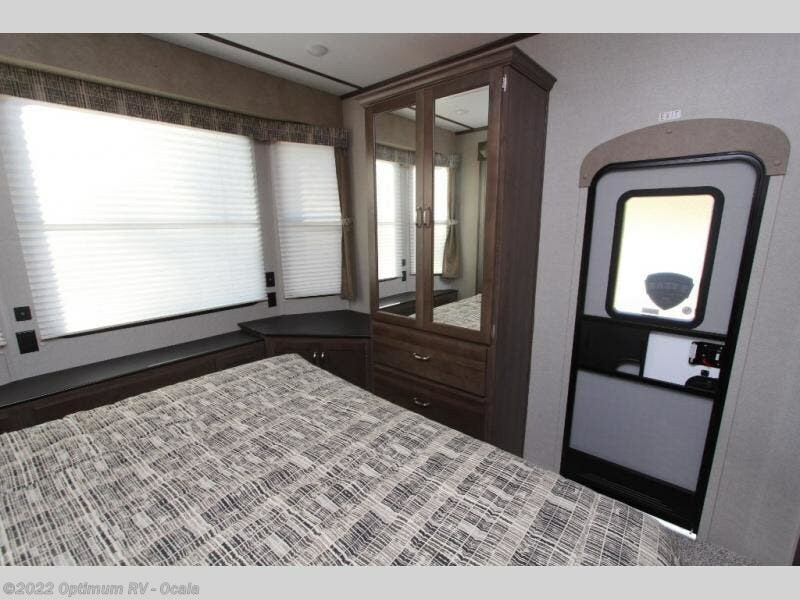 The private front bedroom has a king bed and plenty of storage options for your things. 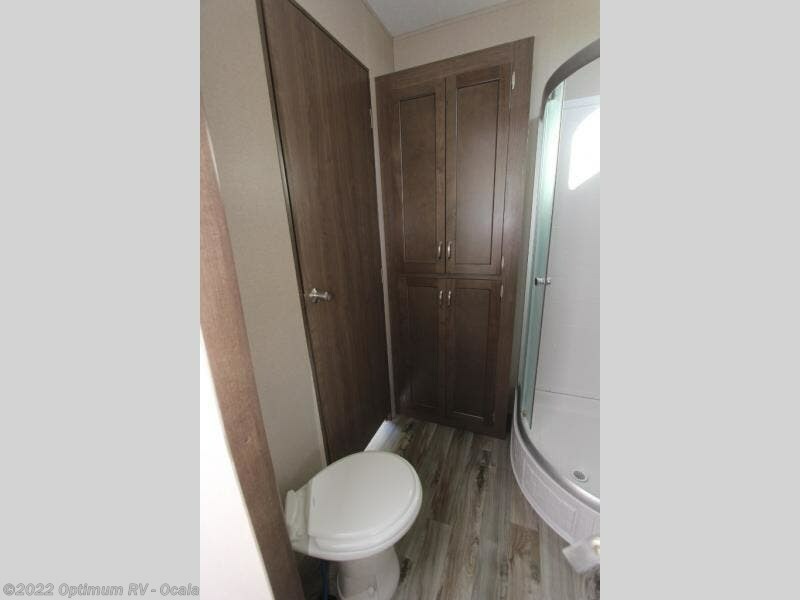 There is a private entry door into the bathroom for convenience especially at night. 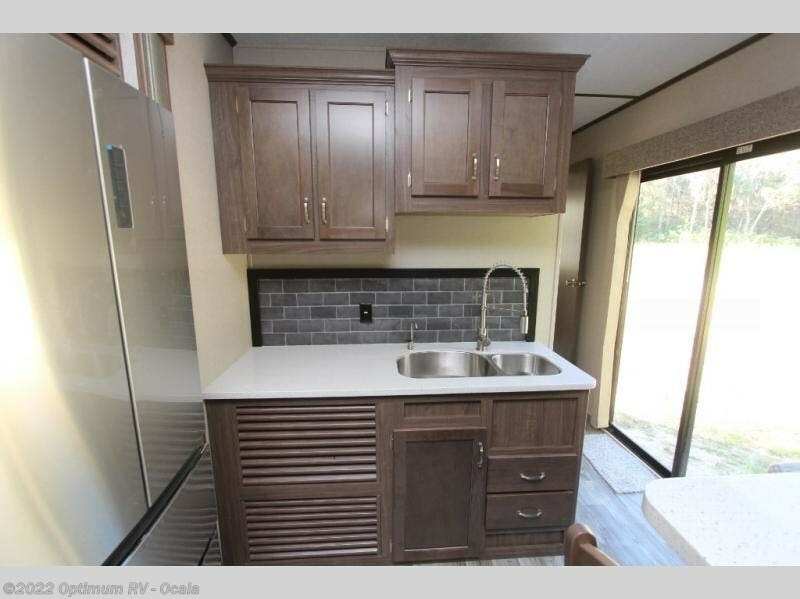 The kitchen is nice and big, giving you plenty of space for prepping for meals, cooking them and cleaning up afterward. 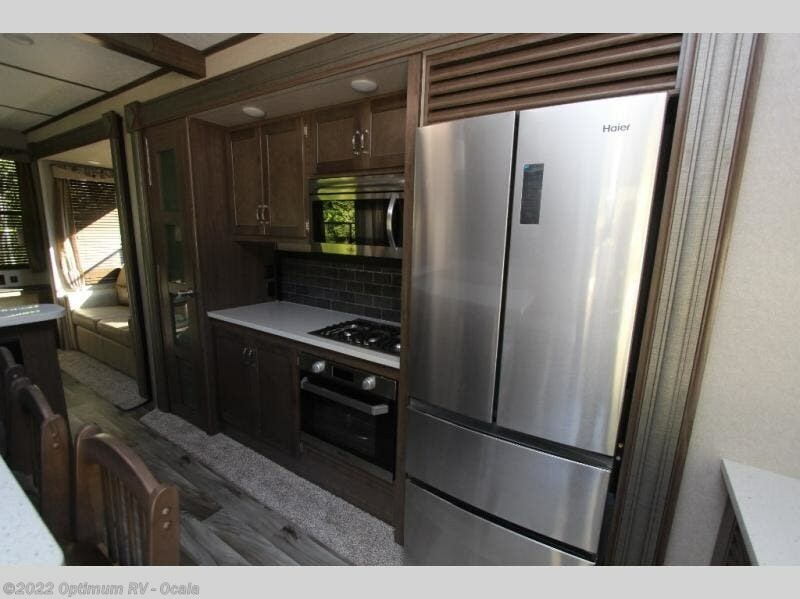 The residentially sized fridge will give you plenty of room for storing your perishables while you are away from home. 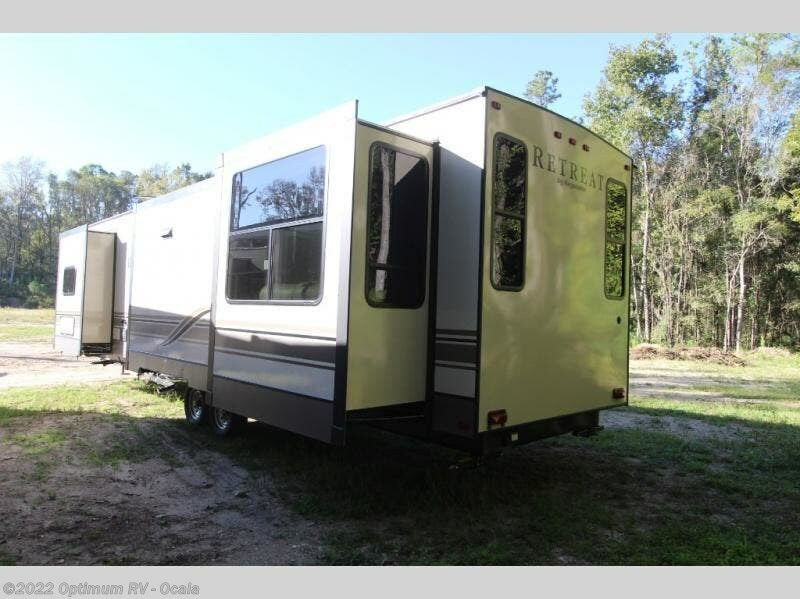 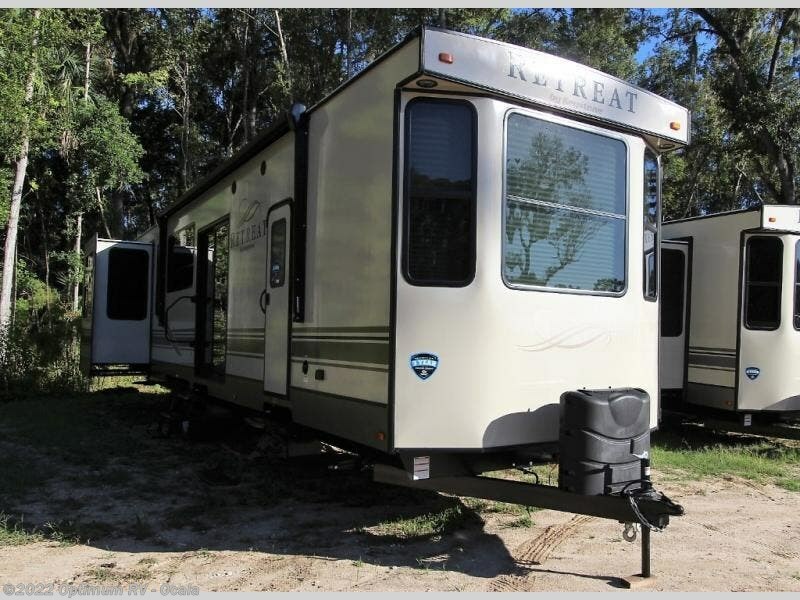 Keystone Retreat destination trailers should be your next choice when it comes to an extended stay unit. 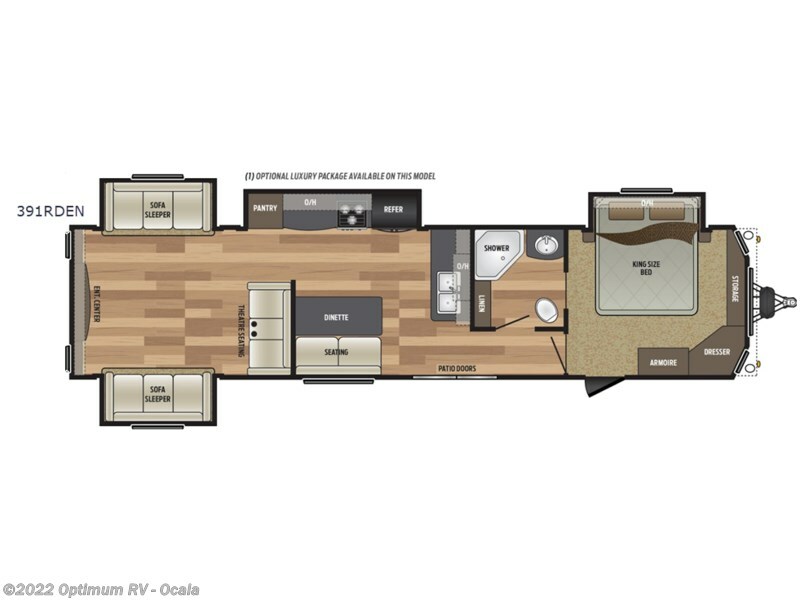 You have plenty of interior features to make it a home away from home. 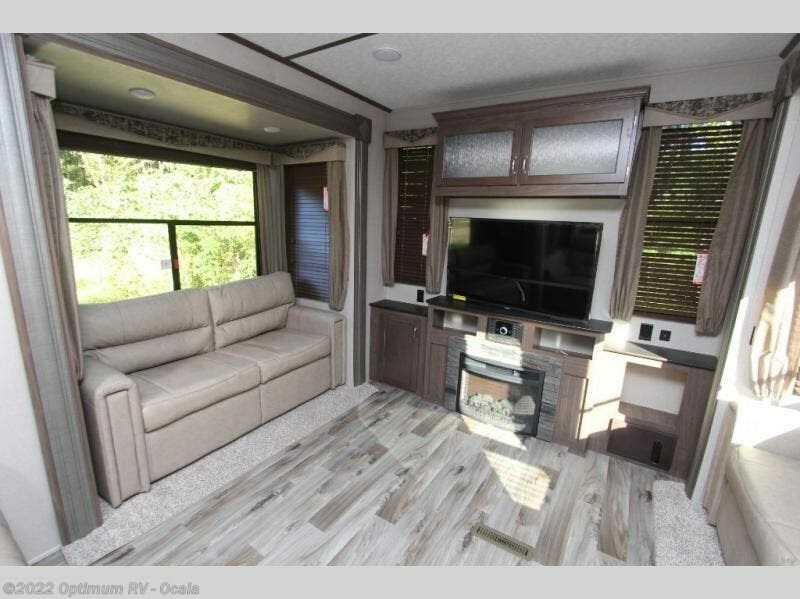 There are large bay windows that will add light to your unit and 8 ft. ceilings giving the space an open feel. 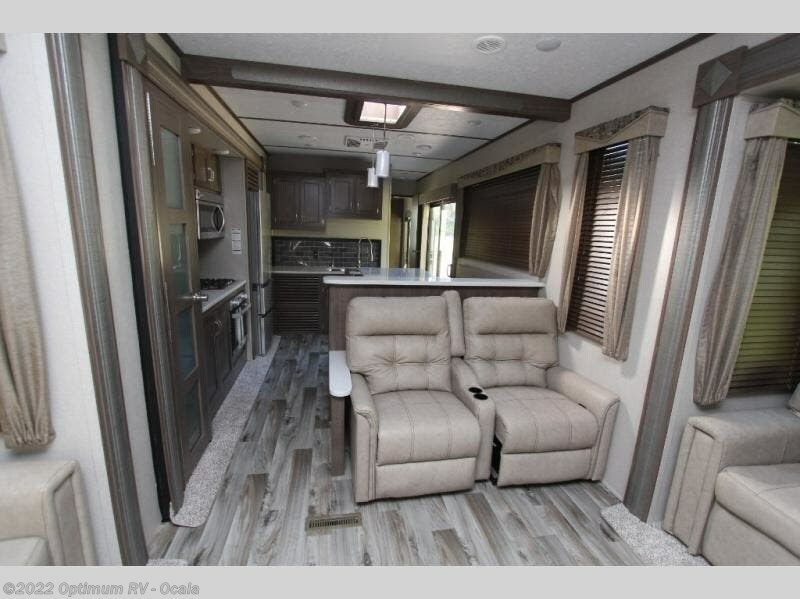 The main living floors are Daro wrapped to keep the moisture out! 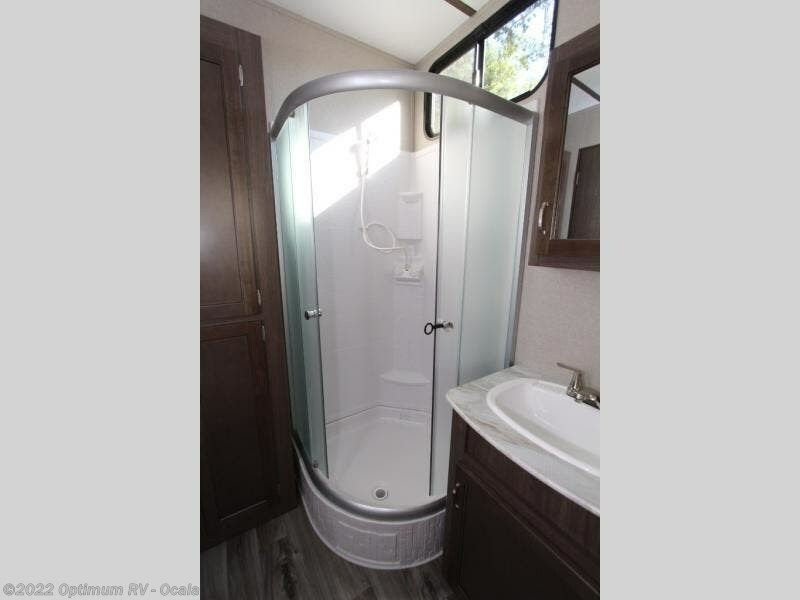 The exterior is built to last with the reinforced superframe and slide out room openings. 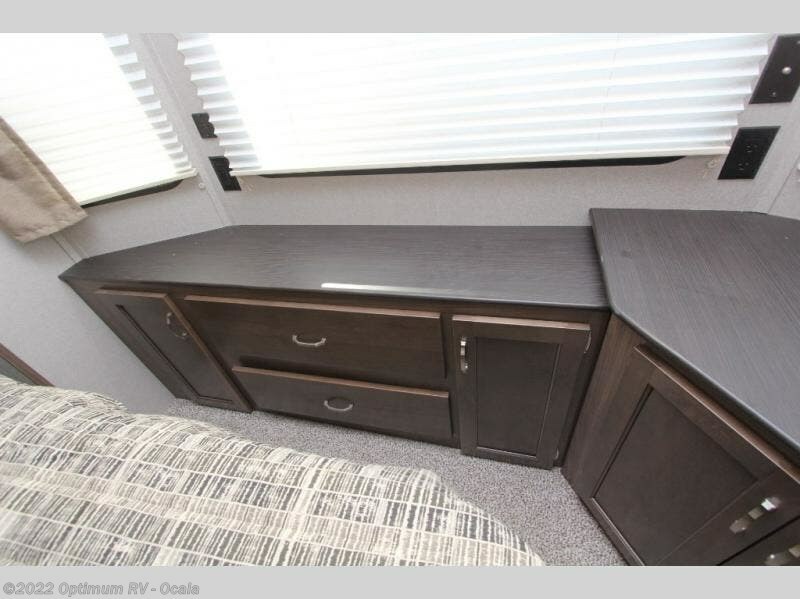 There is a black tank flush and a detachable hitch for some added convenience throughout your vacation. 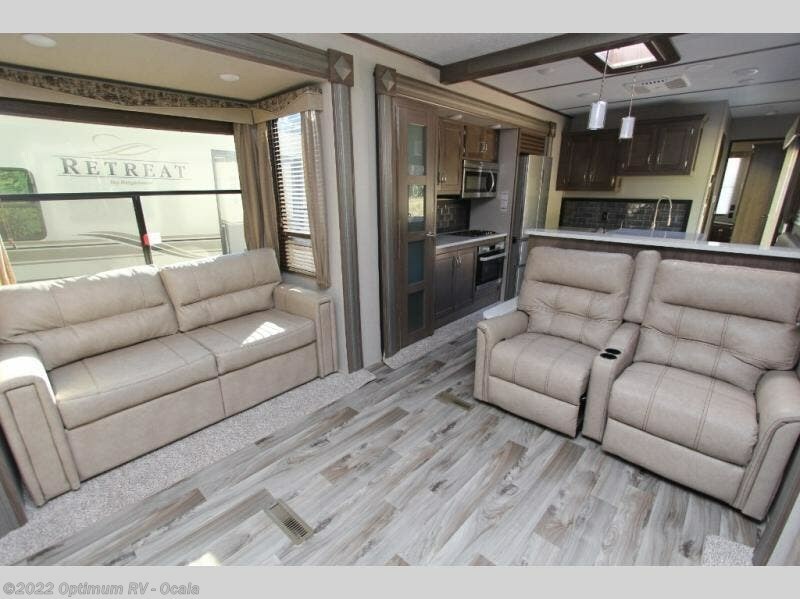 Come take a look at the Retreat destination trailers today! 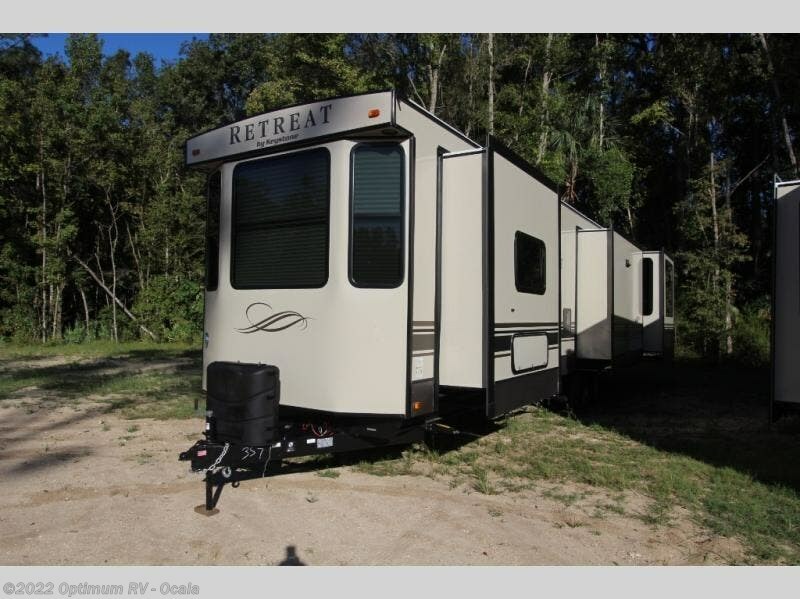 Check out Stock # 0KR357 - 2019 Keystone Retreat 391RDEN on keystonervsource.com!